The empath's guide: Humans are designed to be continuous learning machines. 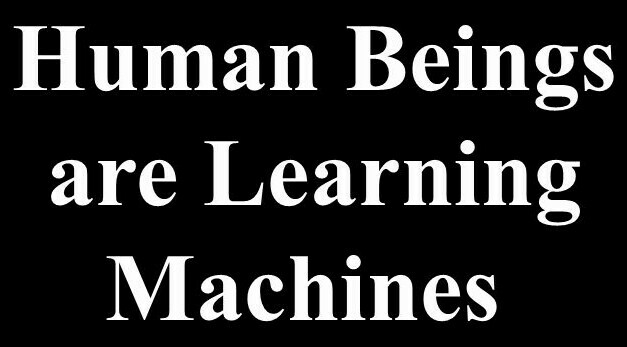 If you aren't a learning machine, you have stopped being a human. Humans are designed to be continuous learning machines. If you aren't a learning machine, you have stopped being a human. New people to interact with, new ways to do things, new way to accomplish, new things to experience and interpret rightly. But when you look, honestly, the reason you are reading this is because you don't know how to the best you, and how to be happy and fulfilled. Now, it sounds like you could build on what you already know, but there is not one single human who can do that. Why? because what you know just isn't so. Your vibration, your accurate vocabulary, your overall intelligence number combined tell the picture: your knowledge by which you live is inaccurate. Your map of reality and reality overlap 20-30%, and the rest don't. And that means that 70-80% of what you know to be true is just isn't true. 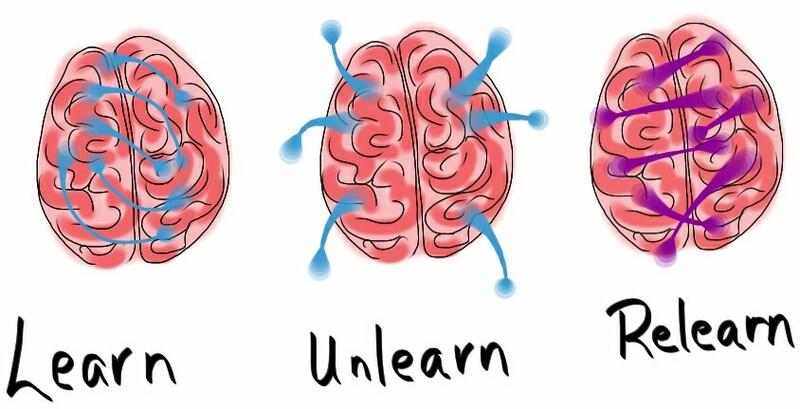 All learning begins with unlearning. It is painful, but it is necessary if you want to live a better life, be happier, whole-er, healthier, more successful in life. 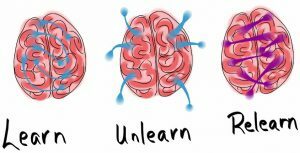 Unlearning is tough, and if you are fearful in nature, you probably won't be willing. Because it feels that your world falls apart. I don't "fire" students willy nilly... only the ones that are not willing to unlearn. That try to build on the faulty "knowledge" they have. A client/friend of mine who is as astute (can accurately see things as they are, sharp) as it comes, noticed, that what is under arrogance is a sense of worthlessness. An intuitive knowing of the falseness of the knowledge that is there to be so proud of that it shows up as arrogance and looking down at others. Oops, that was a long sentence. 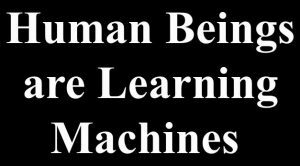 The gist of it is lack of humility will prevent you from unlearning, and therefore will prevent you from rejoining the human race... to become a learning machine. One additional observation I have here: a certain percentage of my students are overly concerned whether something they read or listen to is true. Being concerned instead of listening, being concerned instead of exercising your intelligence is a sign of an overly fearful and stingy constitution. It is a sign of no self-trust, no self-reliance in matters of learning. No willingness to take an adventure, to test something, to go somewhere where you don't already know everything... Safety. The enemy of learning. You have gobbled up all the untruth the world: family, society have thrown at you, and now you want to hold onto it... ugh. In the 67 step coaching you are asked to go and listen to 67 audios by Tai Lopez. Truth value: 7%. So obviously I don't want you to learn the steps. The steps are about exposing yourself to ideas, thoughts, principles, that make you examine your knowledge, your life, your assumptions, so you can come out, on the other side, more suited to life, so you can start being better adjusted, healthier, more successful, and more accomplished. Not with more force-fed knowledge that is not true. On another note: I have been blessed by students and clients allowing me to see more of what they are dealing with. 1. how do you track the incessant chattering of IT while you are doing other things that need your attention? 2. how do you get energized water if for some reason the water isn't energizing as it should? 3. How do you manage to do things that seem not worth doing, that seem like a waste of time of maybe even your life? 4. What should you do with your life? How should you live it, what you should pursue, and what you should leave alone? 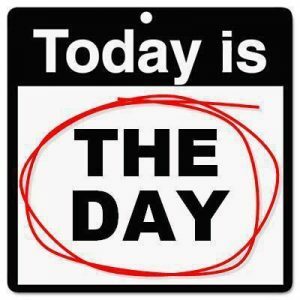 But in the meantime, watch this 10-minute video on how to live, today, your destiny. It's wonderful, and if you don't watch it as television, but if you watch it as learning with homework, it can make a big difference for you. I'm not trying to deny the biological contribution to human nature or to overly dichotomise the nature/nurture distinction – everyone recognises that the truth is somewhere in the middle. The point is that in scientific writing on this topic, the nurture side has been inadequately expressed, especially in books directed towards a more general audience. They suggest a very inflexible view of human nature, that we are determined by our biology. From my perspective the most interesting thing about the human species is our plasticity, our flexibility. One of the ideas you take issue with is that we are all born with innate knowledge about the world. Why do you reject that? Next Next post: 4 Stages of Consciousness… where do YOU live?